With the abundance of credit cards on the market today it is easy to see how and why credit card debt is so common. Credit cards are one of the most popular forms of credit in the UK, due to the fact that they are so readily available and easily attainable. Almost anyone can get their hands on a credit card or similar form of credit and easily. The market is so competitive and abundant that it is tempting to get drawn in by a deal that could end up being a problem down the line. 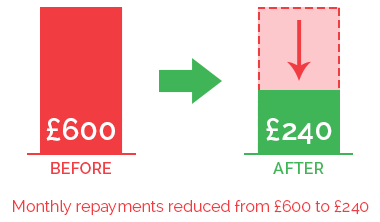 With attractive offers such as low interest, or interest free periods you are enticed to spend and before you know it, the offer period ends and you are being hit with extortionate interest rates that make the debt amounts soar. This is the point when a credit card becomes a problem; You use it so easily, you end up using it too much and it becomes easy to spend above your means. 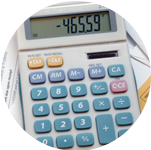 This page will provide you with some information and FAQs on credit cards and their related debt. You can hopefully avoid falling into the credit card trap of high interest and constant draining monthly repayments. So, as we've stated. Credit card debt can be one of the most crippling forms of debt. We speak to many people every day who have run into difficulty with their credit cards. They are dealing with multiple repayments and very high interest which is vistually impossible to get on top of when you are only able to just about meet the minimum monthly repayments. Before you know you are trapped in an eternal cycle of credit card spending and repaying. If your credit cards are putting a strain on your finances to the point where you are struggling to live, then it is only natural that you might want to find a way to clear your credit card debt. There are many solutions both formal and informal available to help you do this and clear the debt once and for all. We can help you find out which is the right one for you. Fill in the form on this page for more information on how you can clear your credit card debt, or browse our website and read about the solutions available which could help you. Balance transfer cards are available for consolidating your debts from other cards. These cards offer 0% interest on your transfers. To help alleviate your charges and interest that you have been paying. You could save hundreds of pounds. The market is VERY competitive with these types of card. Most providers offer 0% interest for a specified number of months. These cards are particularly good if you maximise what they offer. In other words, with great commitment, you should aim to have all or most of the debt paid off within the timeframe of the 0% interest. If you don't do this, you could get landed right back into high interest payments. The same applies if you purchase anything with these cards. You need to focus on using the card as a repayment plan for your debts. Cashback cards are most suitable to the fortunate people who manage to clear their full statement every month. The cards offer a percentage cashback offer on purchases, sometimes up to as much as 5% on each purchase. So you can actually make money while you spend money. It is like a type of reward scheme. Remember, these cards are encouraging you to spend, so steer clear of them if you cannot afford to repay each month. Rewards and incentive cards are similar to cashback cards, in the sense that they offer you something in return for your money. The reward is normally a points based system; so many points per pound spent. As above, this type of card is mainly recommended for people who can spend and pay off the balance in full on the due date. If you are struggling to pay off your credit cards or even reduce the balance... If all you seem to be doing is paying off the interest... Then the answer could be yes, transfer. You could save hundreds of pounds by doing this. You decide to apply for a credit card and transfer your balances. The balance transfer deal is 0% for 12 months. There is a charge of 2% for the transfer, however, with that charge included, you could still make a saving of over £1,250 on interest within that year. You are successful in the application and when it goes through, you cancel your old cards, and pay off as much as you can every month on your new card. You do NOT use your new card for purchases. To find out if McCambridge Duffy can help you regain control over your finances before matters are taken out of your hands, or to find out the best way to deal with your Credit Card Debts get in touch with us.